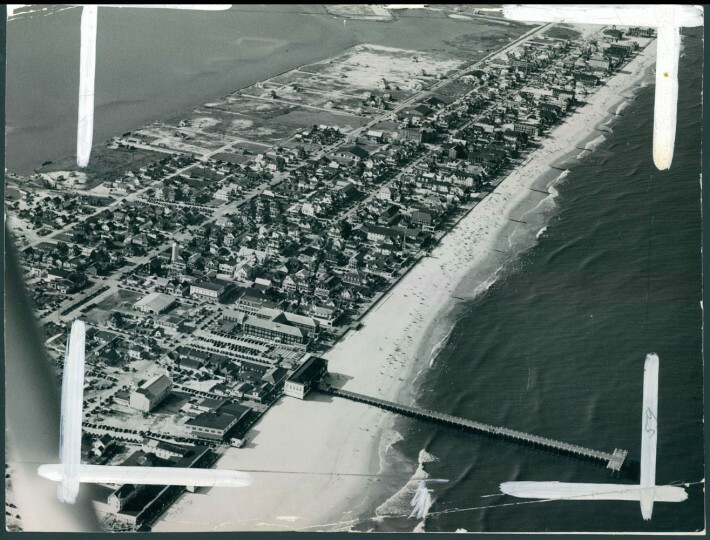 Erosion after the flooding in Ocean City, 1976. Ocean City, March 6, 1955. 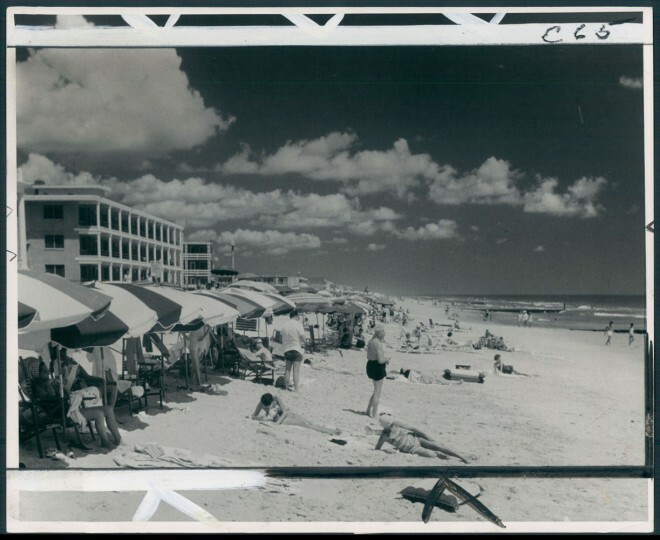 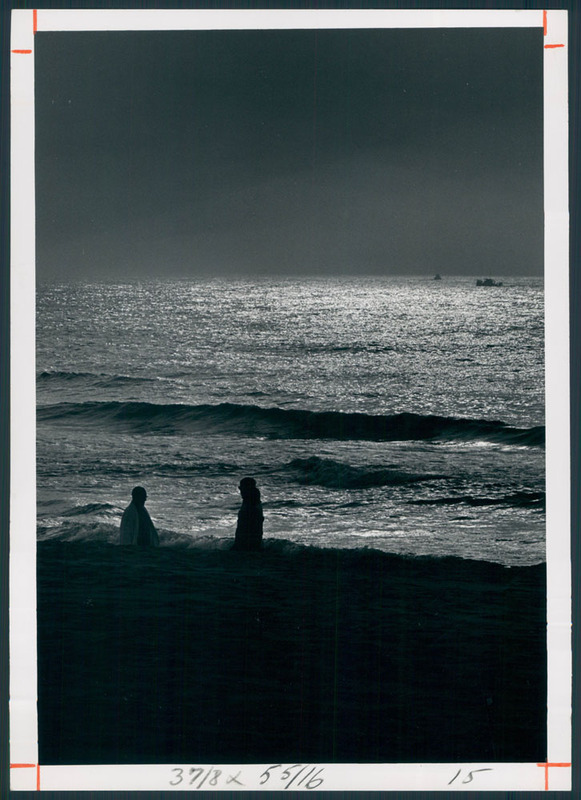 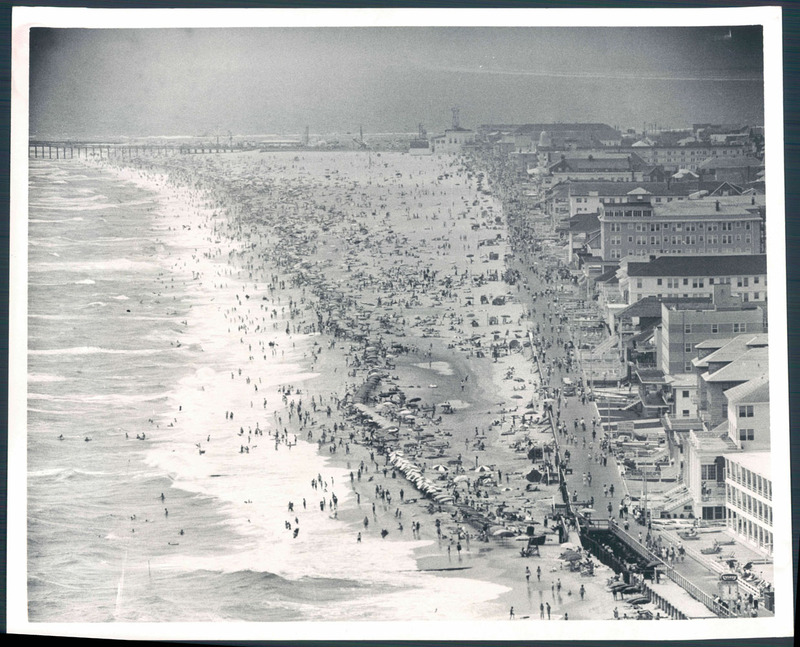 Ocean City, September, 14, 1941. Ocean City from the air, Oct. 8, 1965. 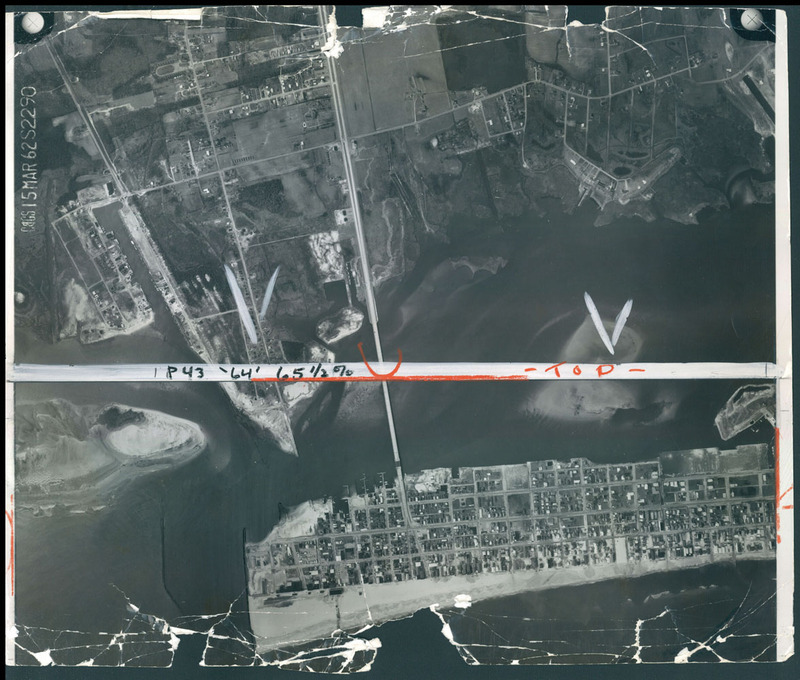 Ocean City from the air, Aug. 4, 1940. 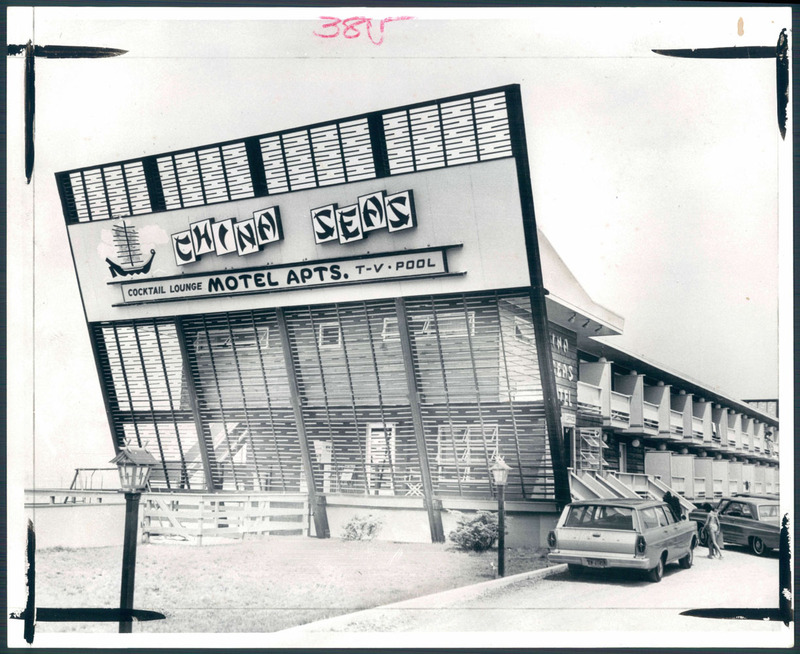 China Seas motel, Sept. 19, 1965. For many, summer vacation means a visit to Ocean City. 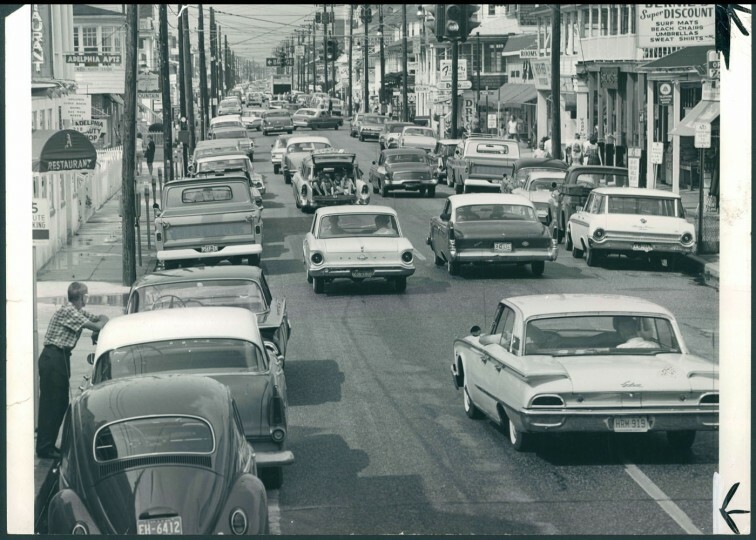 June 9, 1963. And one may end the day quietly watching night settle over the water. 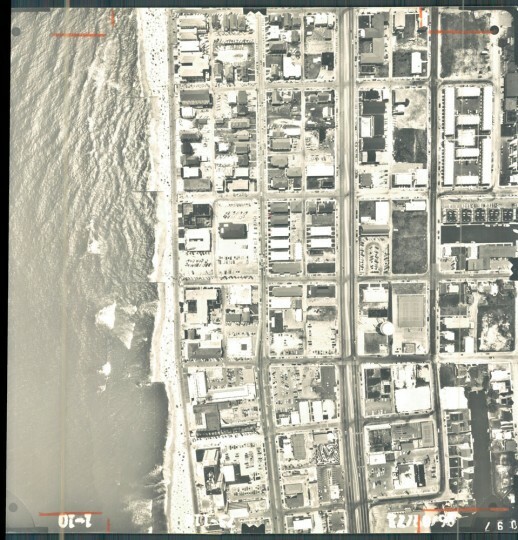 Aug. 25, 1967. 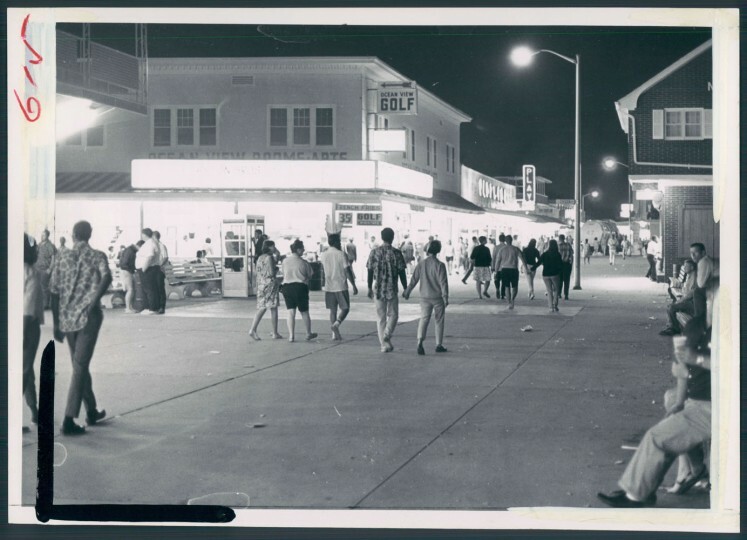 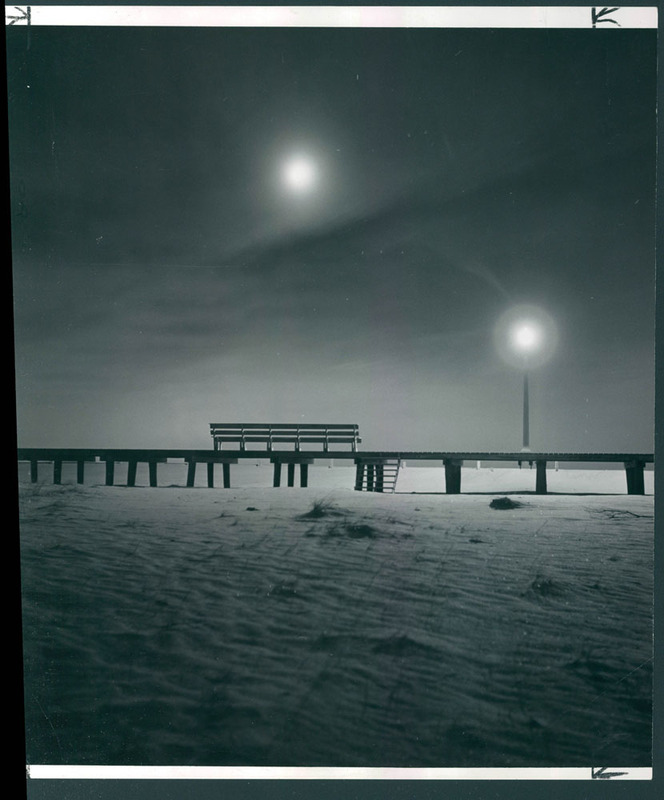 Midnight strollers along the boardwalk in July, 1967. 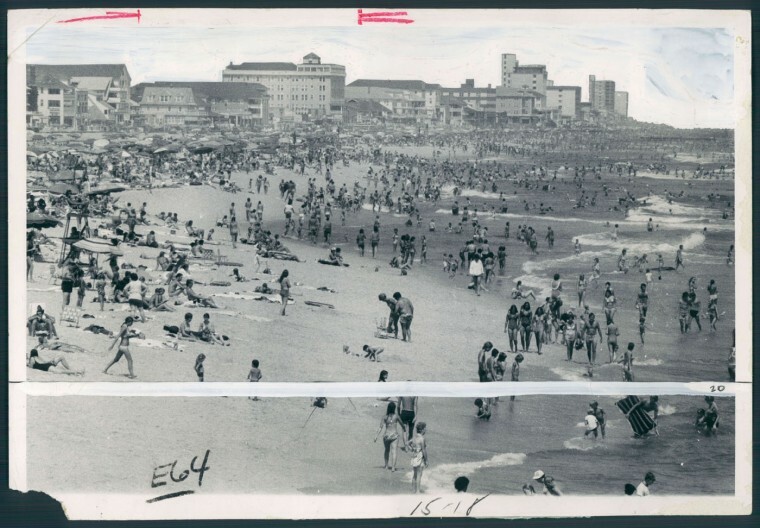 Throngs enjoy sun and surf at Ocean City. 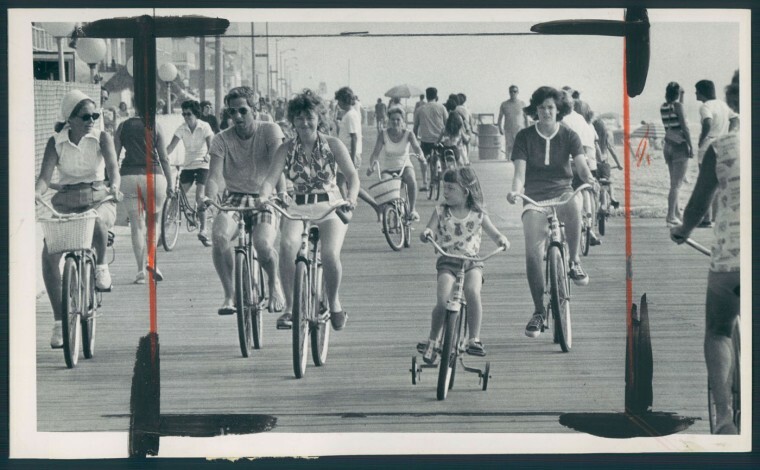 August 18, 1978. A warm, sunny morning brought out the bicyclists in Ocean City. 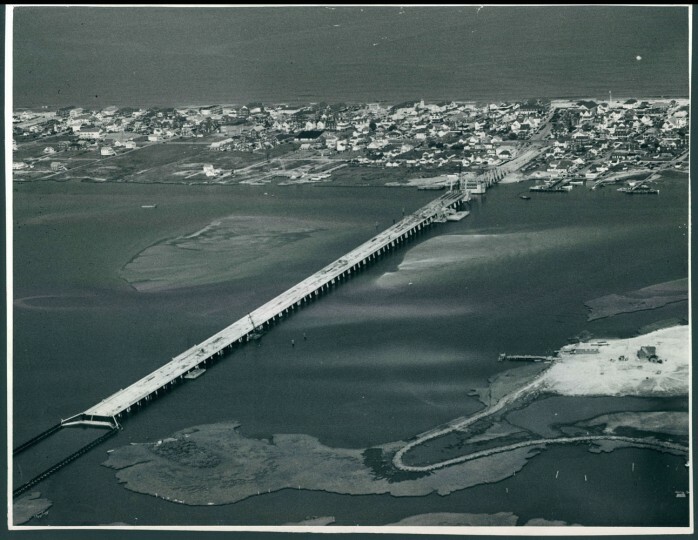 Aug. 13, 1975. 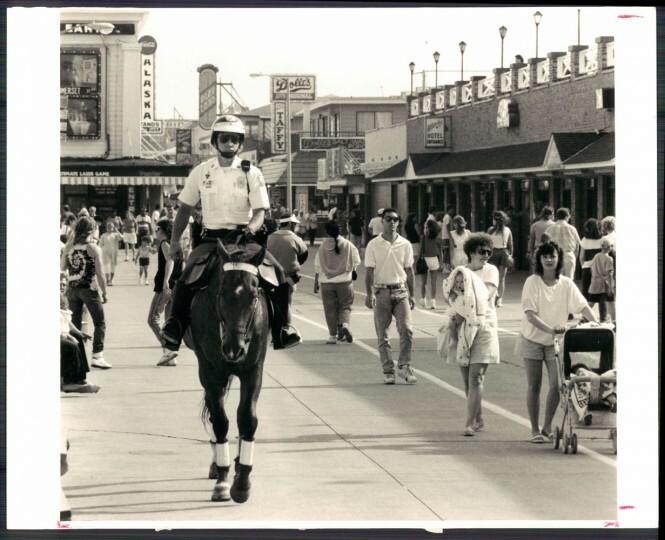 The beginning of a long, empty season for Ocean City. 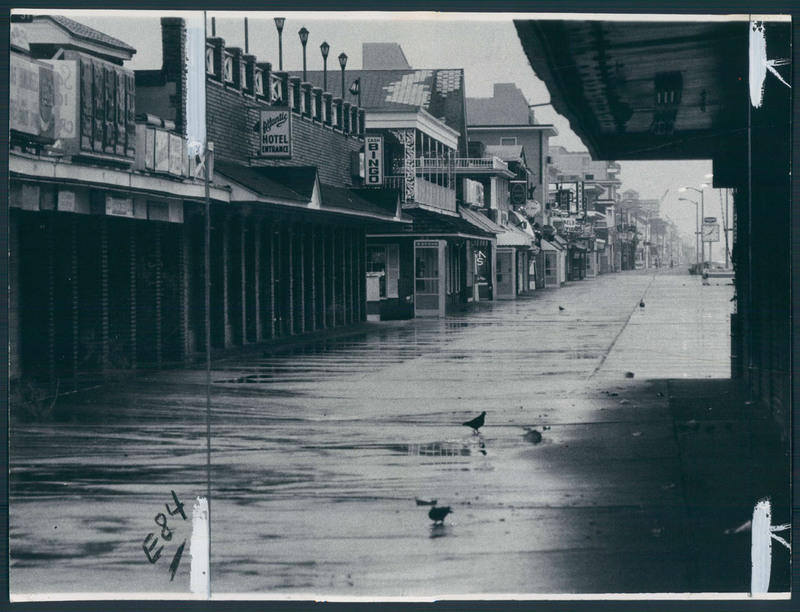 Wet, cold and deserted. 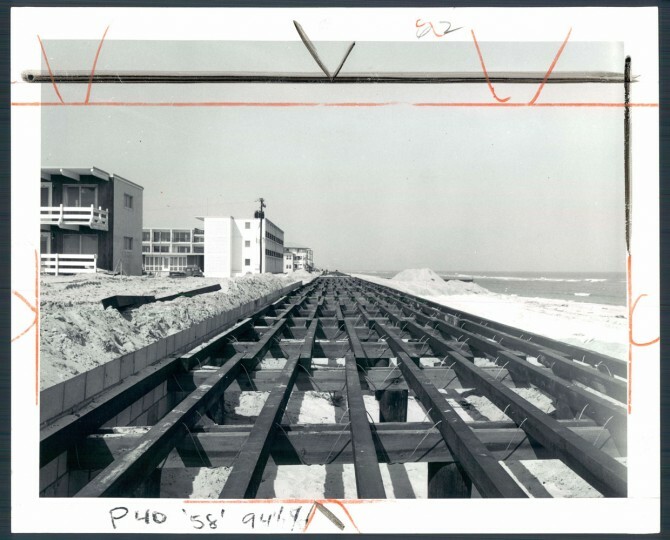 Oct 13, 1977. 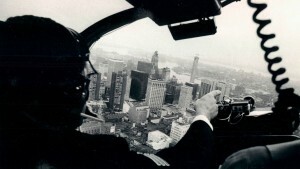 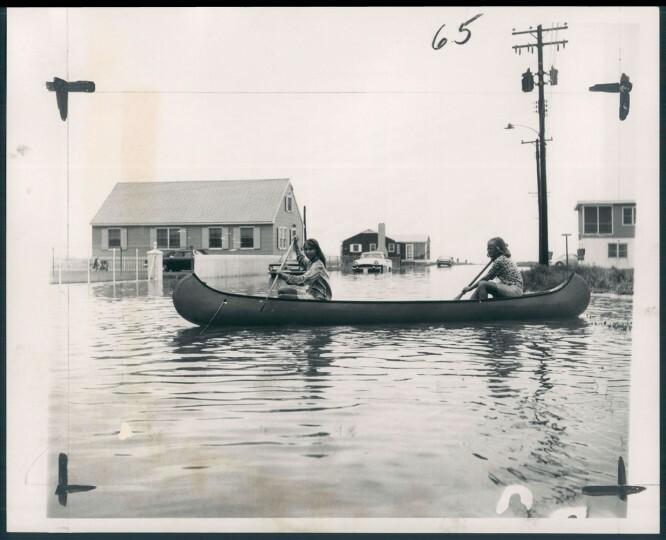 After the floods, March 1979. August 27, 1933: An air view of the storm-beaten Ocean City. 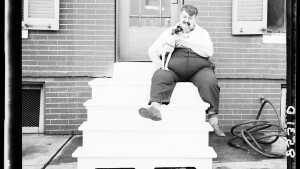 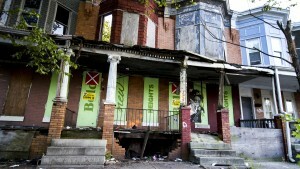 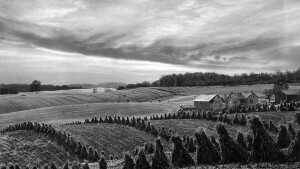 Photo by Robert F. Kniesche. 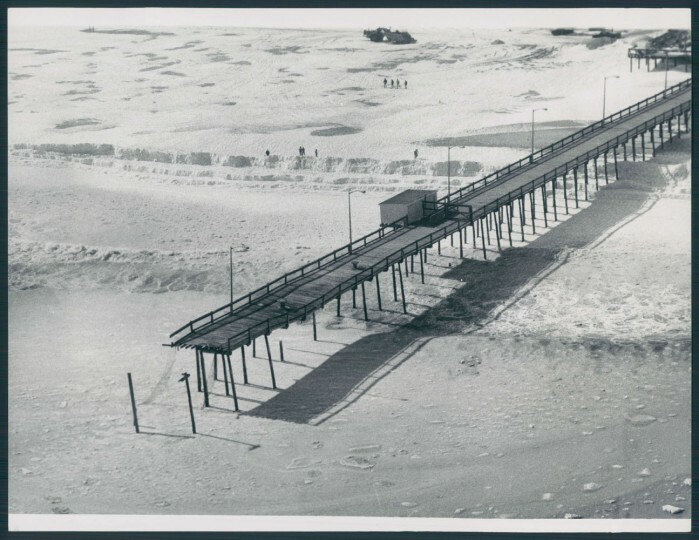 Sand built up on the south end of Ocean City after flooding in March 1962. Winter in Ocean City, 1979. 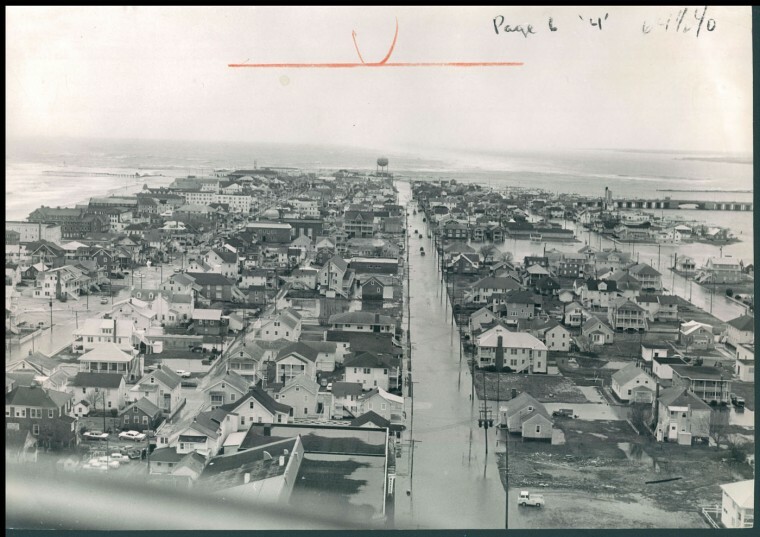 After the storm in March, 1962. 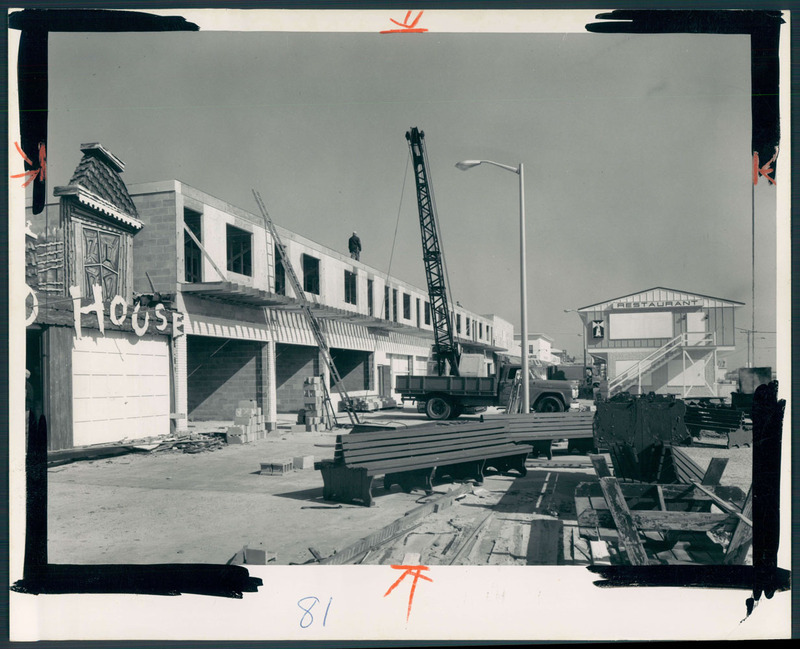 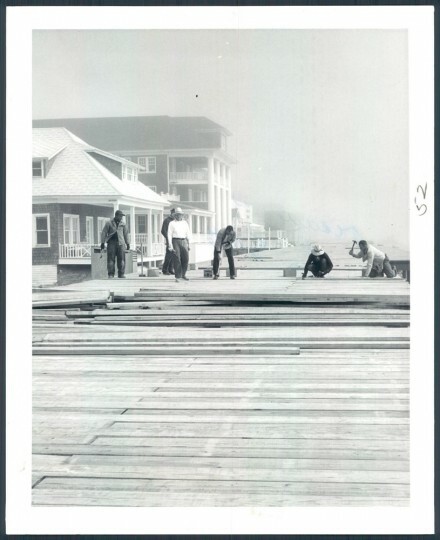 Rebuilding the boardwalk in 1962 after it was damaged. 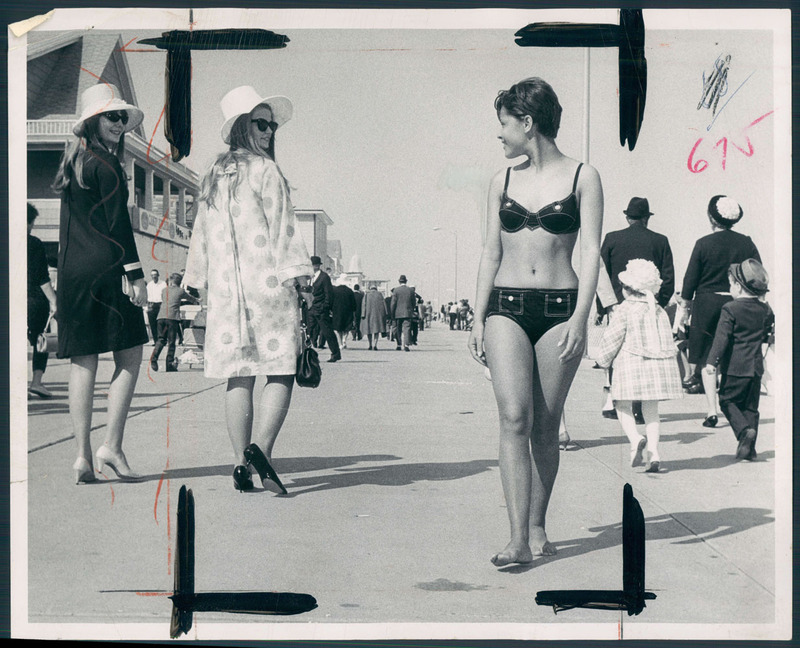 BONNETS AND BIKINIS: Finery displayed in Ocean City Easter Parade ranged from a lot to almost none at all. Wilma Beinty and Linda Bailey from Salisbury, Maryland exchange glances with Yele DaCosta of Washington D.C. during the parade in 1968. 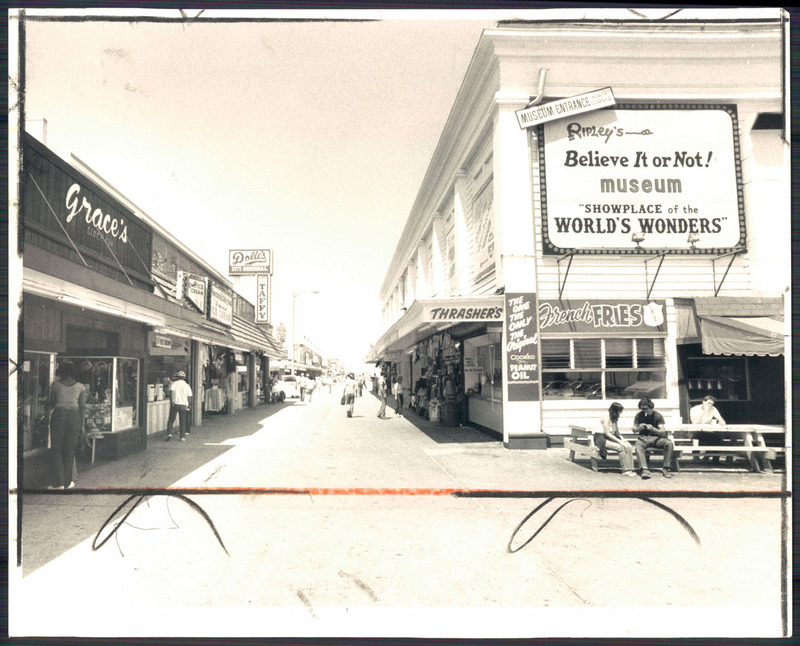 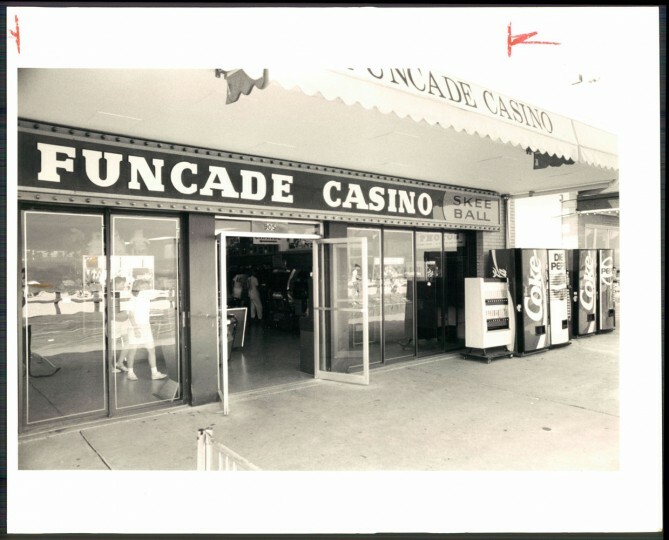 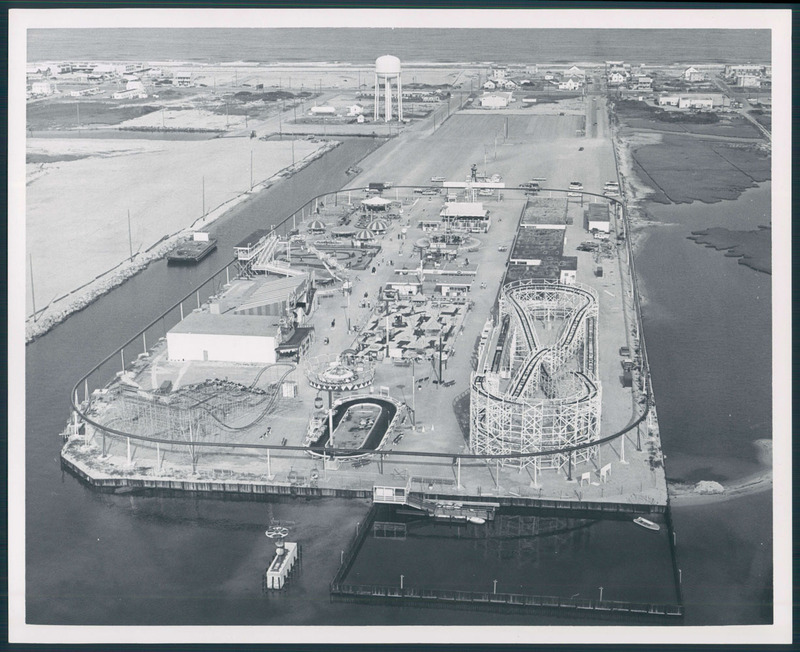 Amusement park in Ocean City, 1965. 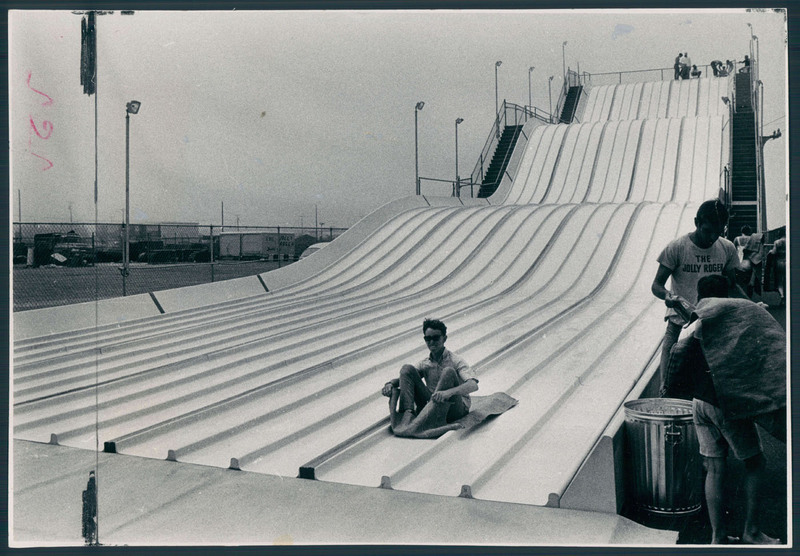 The Finish Line: A rider finished his rolling slide atop burlap riding mat, 1968. 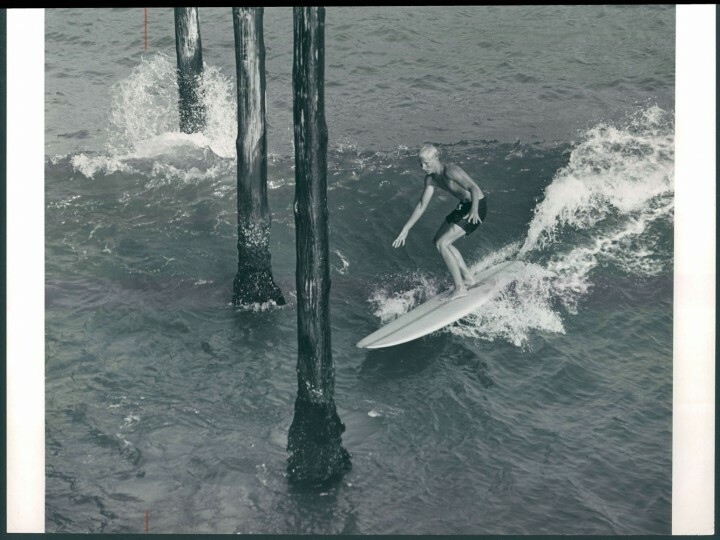 Paddling is easier than walking after 4 inches of rain turn OC streets into rivers, 1965. 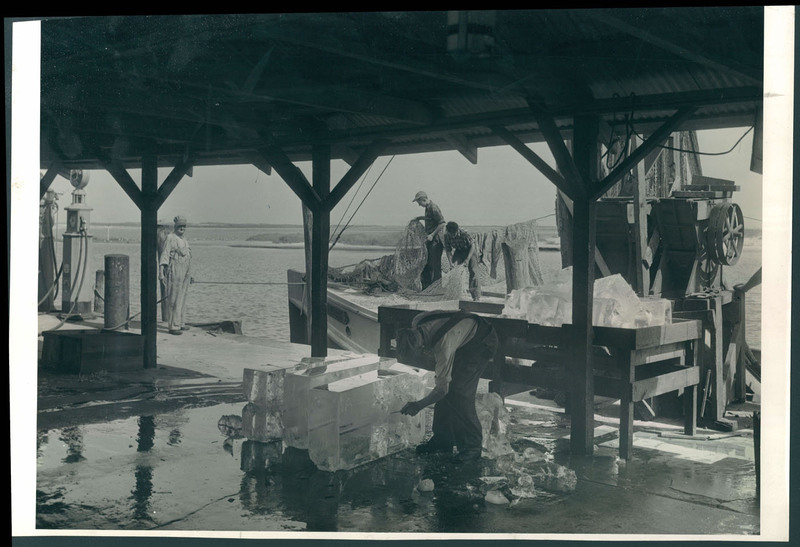 Trawlers in Ocean City MD sell flounder for 25 cents per pound, 1943. 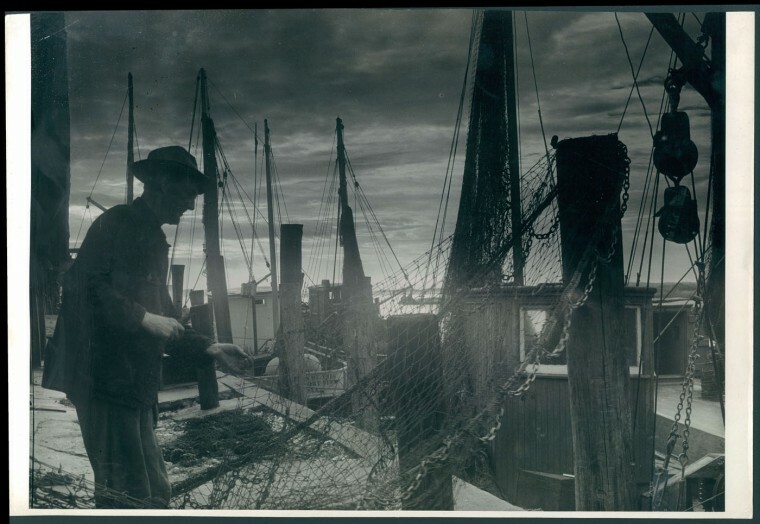 Trawlers in Ocean City Maryland, 1943. 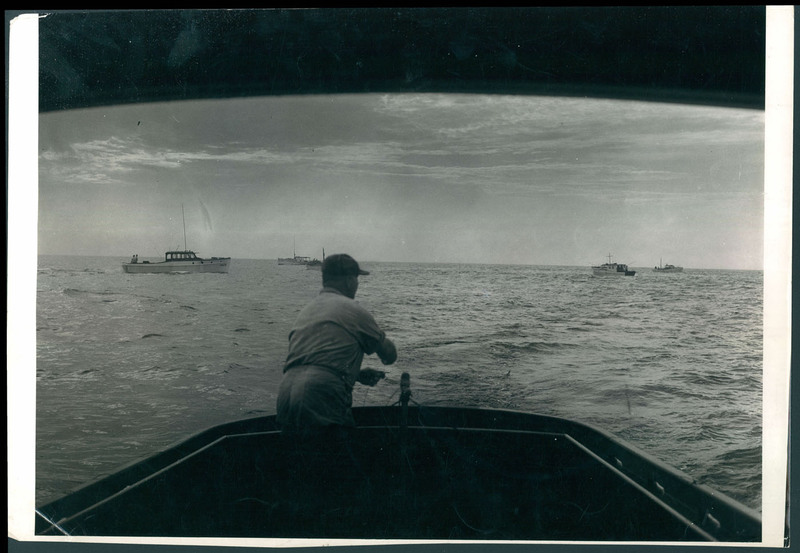 Fishing in Ocean City, 1943. 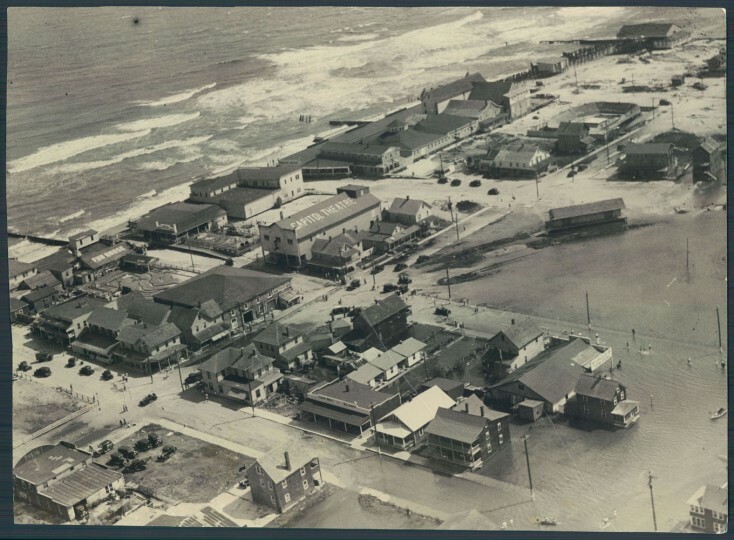 Ocean City, June 16, 1941. 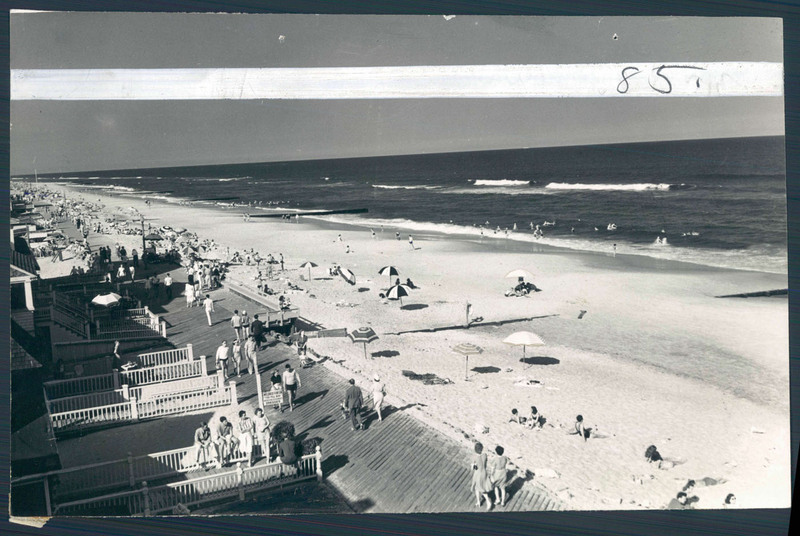 Find our A to Z beach guide for Ocean City here. Peruse a list of events happening at Ocean City this summer. And if it’s an O.C. thrill you’re seeking, look no further.